I'm back today with another new quilt pattern that I created for Windham Fabrics. It uses the fabric collection called Ampersands; which is from the Ampersand Design Studio. If you are a fan of modern graphic typeface prints, then you definitely need to check these out. 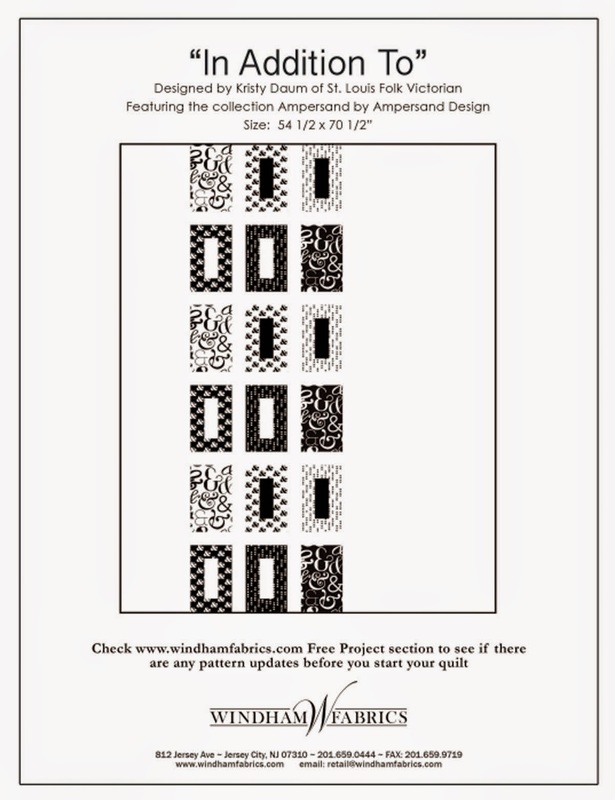 I named this pattern IN ADDITION TO and you can download it for free. Yep! I said free. It was created as part of their Free Project program, so if you are interested in making this quilt, use the link below to visit their site and download the pattern. It's that easy! Oh, and don't forget to share your work on social media and tag me @LoveOldHouses as I love seeing my ideas "out in the world".